Denis Griffiths 1993 27 72/36 6812 30 minutes from downtown. Designed by Dennis Griffiths and opened in 1993, the course is located some 90 minutes from Bangkok. 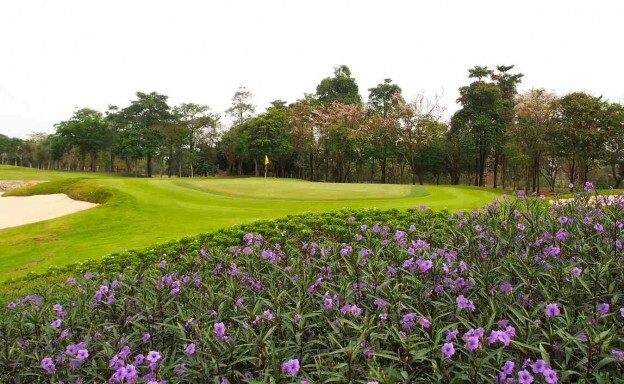 Beautifully landscaped with eucalyptus, bamboo and bushes, the Phoenix Gold Golf & Country Club utilizes wooded, rolling terrain on its three nine hole courses – Ocean, Lake and Mountain. Although fairways are narrow, the greens are most spacious and the middle nine is one of the most playable in the kingdom due to its large amount of water hazards. Hole-17 – a very tough par-four – dog-legs around the lake and has left some of Asia’s most experienced golfers in serious trouble. The excellent clubhouse facilities and a sports complex contribute to make this on of the best courses on the Eastern Seaboard.